Mexico’s state oil firm Pemex and a subsidiary of Australian company BHP Billiton on Friday signed on the dotted line for their joint venture to explore and develop the Trion deep-water field in the Gulf of Mexico. The signing of the deal confirmed the partnership for this project, which is Pemex’s first farm-out since it started surrendering its monopoly position in oil production in accordance with Mexican authorities’ policy of reforming the energy sector. These two parties won the bid for the Trion project at December’s auction. BHP will be the operator and 60% stakeholder of two blocks containing Trion, AE-0092 and AE-0093. Pemex holds the remaining 40% interest. Mexican President Enrique Pena Nieto and officials of both companies attended the signing ceremony along with representatives of industry regulator CNH and the Ministry of Energy. 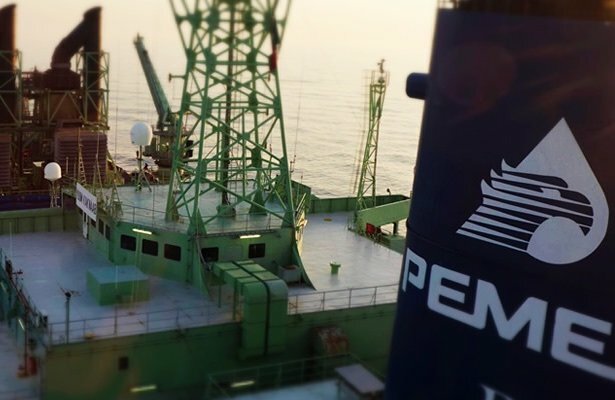 The Trion light oil field is in the Perdido Fold Belt and Pemex says it should start exploration there this year with a hoped-for production target year of 2023.